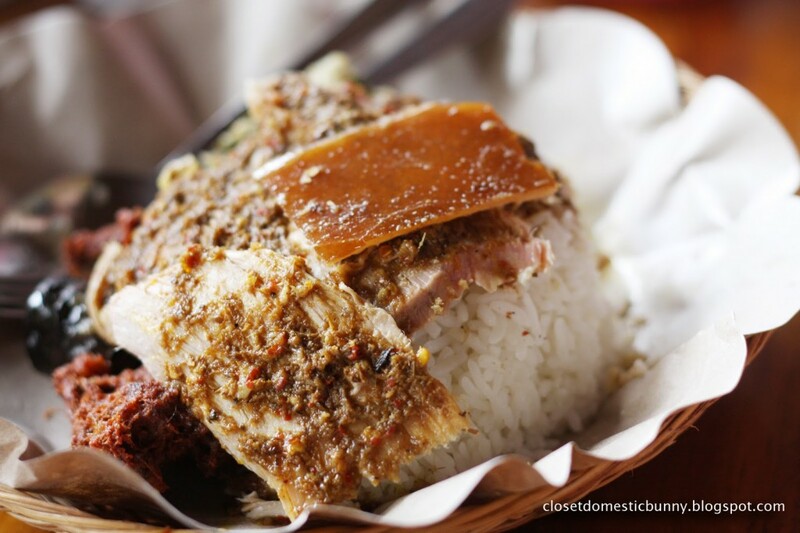 Easily the most popular traditional dish of Bali. Babi Guling is basically a slow roasted suckling pig, in which the dish considers every part of the pig. Yes, Blood, Skin, Organs, you name it. Don’t let this turn you off, this dish is truly a local favourite that you can’t get anywhere else. The slow roasted white meat of the pork gives you a tender texture which just melts in your mouth, accompanied by the contrasting crispy skin of the pork, it will just give you a culinary experience like no other. And oh, it’s Chef Anthony Bourdain’s favourite local dish. Probably the most delicious satay you will ever encounter. 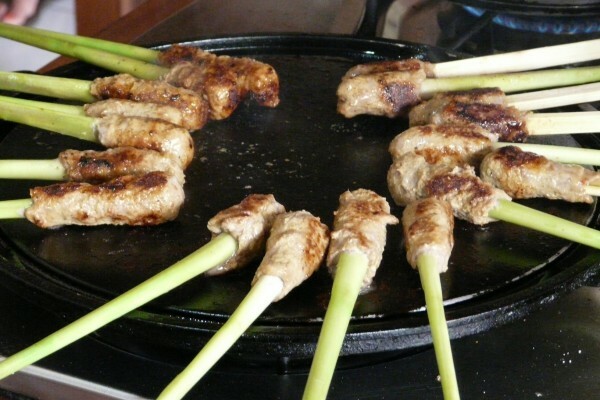 Sate lilit is basically minced chicken or seafood on a lemon grass stick. Unlike other Indonesian satays, this dish does not come with an extra sauce, instead it uses local herbs and spices within its minced meat, giving it a clean taste and allows you to taste the natural flavour of the chicken or seafood itself. 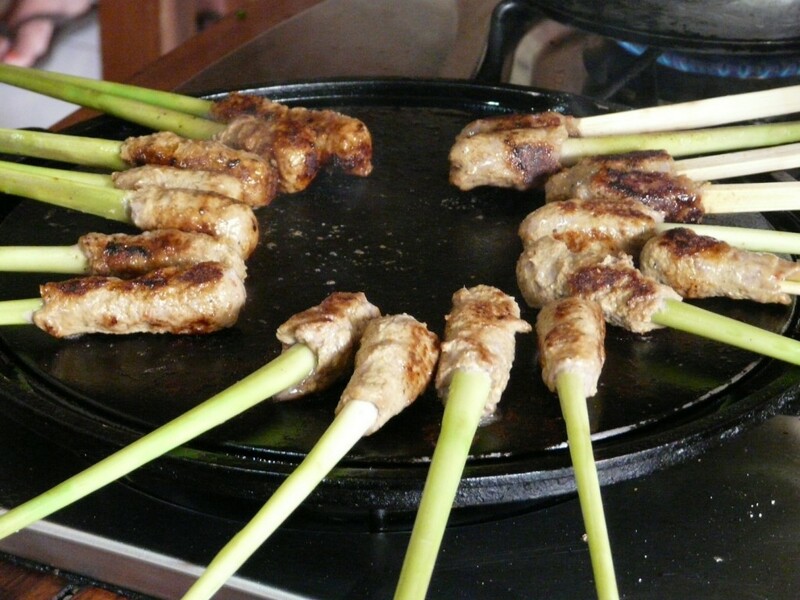 The lemon grass stick gives the satay a refreshing hint of flavour. 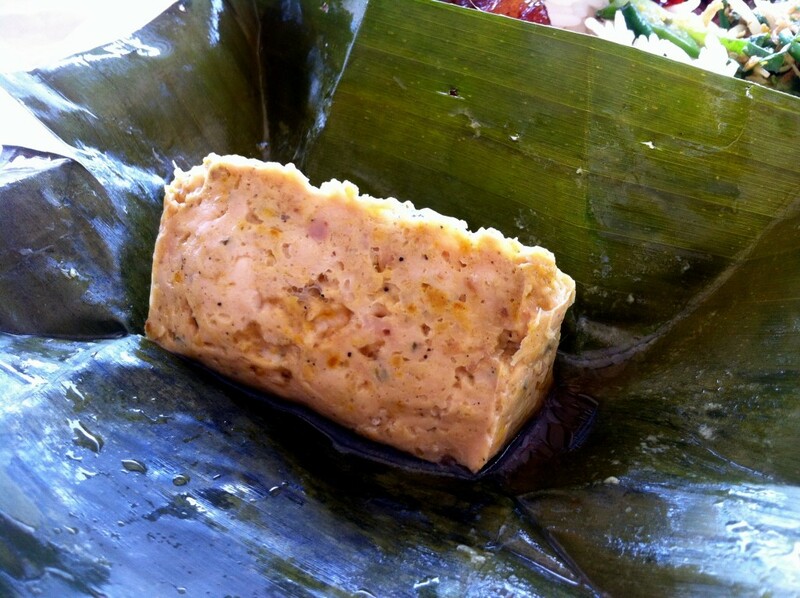 Minced pork/chicken steamed inside a wrapping of banana leaves for a long time. Being slow cooked in it’s own juices gives you a flavourful dish with soft textures that melts in your mouth. The banana leaves gives the dish a strong appetising aroma. This dish is what locals eat in a daily basis and you should give it a go! Another famous dish from the island. 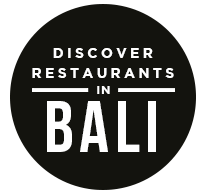 Now, you’ve probably noticed that the Balinese just love slow cooked dishes. Then again, who doesn’t? This chicken is slow cooked with its own juices and spices, making the meat so tender, it just falls out of its bones. This is truly a local favourite! Sometimes simplicity is the key on to being a good dish. 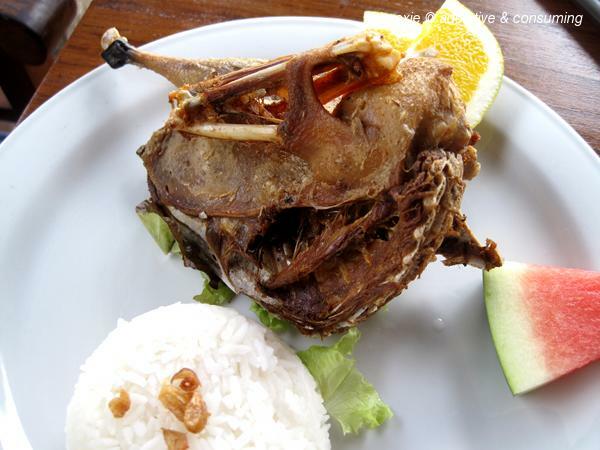 Bebek Goreng literally means Fried Duck, and it’s literally what the dish is. Unlike other Indonesian fried drucks, the Balinese like to fry them to until it’s absolutely crispy, giving you a crunchy yet still flavourful taste. 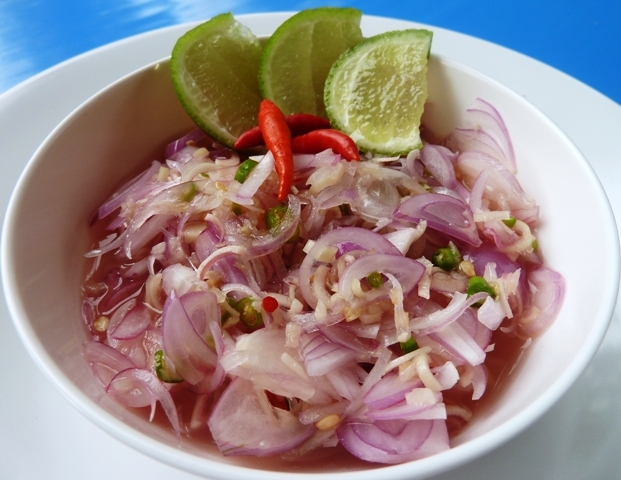 Sambal Matah is a Balinese chilli condiment that the locals use for almost everything. When I mentioned everything, I’m not kidding, this is the perfect condiment to accompany all of the dishes mentioned earlier in this list. It’s kind of the local Balinese equivalent of tomato ketchup. 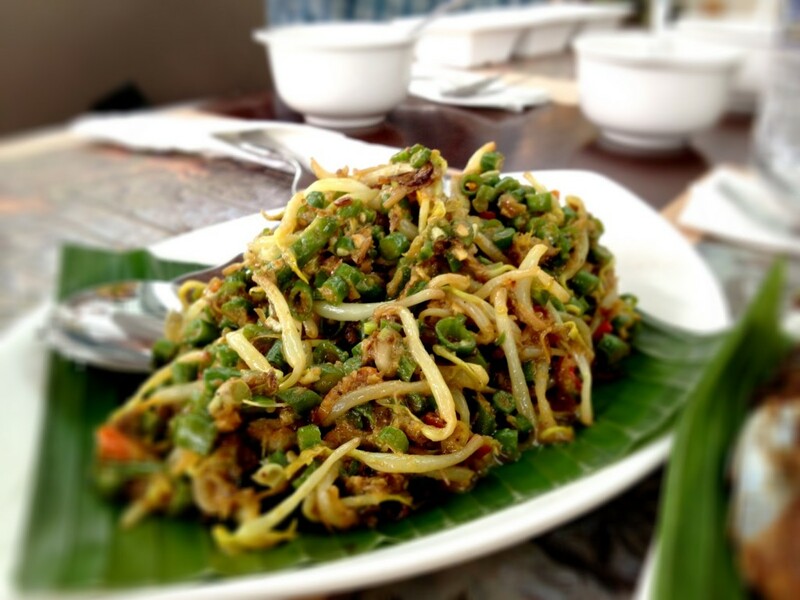 Lawar is the Balinese equivalent of a coleslaw, it’s the perfect side-dish to every Balinese food you can think of. Unlike other Indonesian style salads like Gado-Gado or Ketoprak, this Balinese delicacy does not use your usual peanut sauce, in fact they use other spices to compliment the flavour of the vegetables instead of overpowering them. 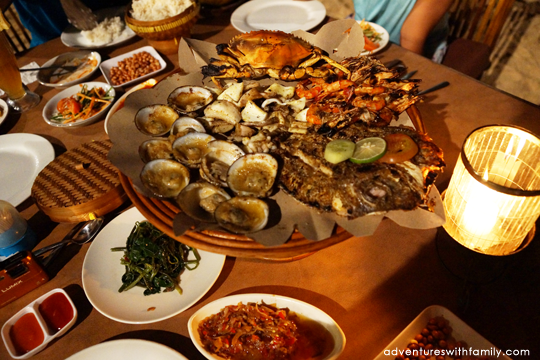 Not really a specific type of dish, but the grilled seafood prepared in the traditional Bali way is a must eat! Especially the ones in Jimbaran. Jimbaran is a long stretch of beach filled with local seafood restaurants, serving grilled or fried fresh catches. You can dine down straight at the beach with the sand touching your toes while you enjoy the view of Bali’s gorgeous sunset. This dish and place is a must go for tourists, and a favourite place for local families. We recommend you try the Grilled Clams, Calamari, Grilled Prawns and the Grilled Groupers with Kecap. 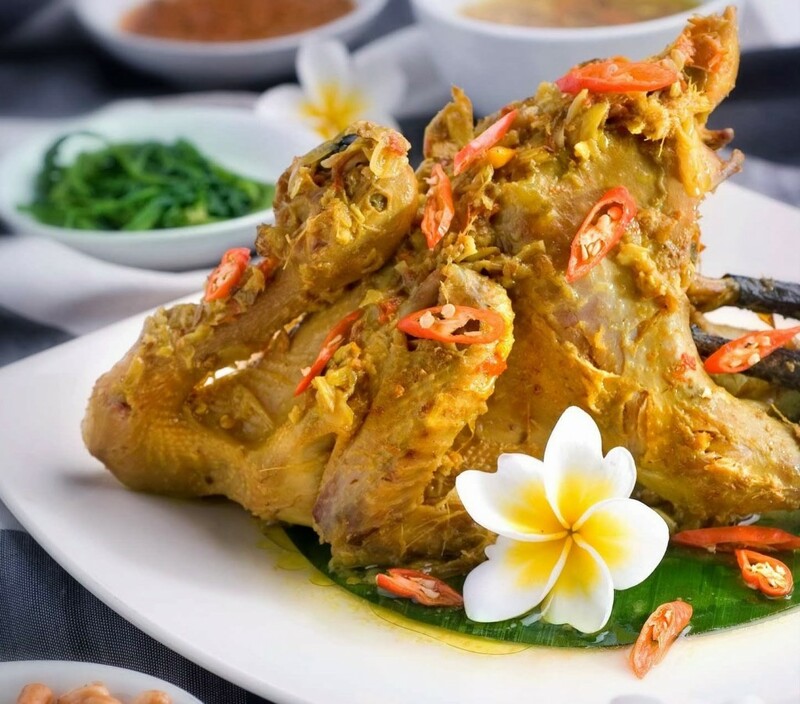 The post 8 Balinese Foods You Need To Try Before Leaving Bali appeared first on Qraved Journal.